Listed below are some commonly used notarial terms and abbreviations to help guide you through the notary process. Acknowledgment: A notarial act in which a Notary positively identifies a willing document signer who personally appears before the Notary. Affirmation: A spoken, solemn promise made on personal honor to tell the truth. Apostille: A certificate of authority that authenticates a notarial act on a document sent to another country. Journal: An official recordbook of notarizations performed by a Notary Public. Jurat: A notarial act in which a person signs a document in the presence of a Notary and then swears or affirms to the Notary that the contents of the document are true. 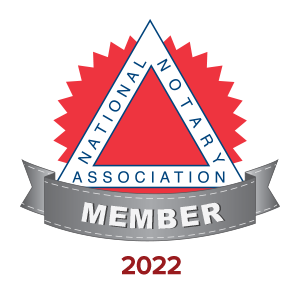 Notary Public: A state-appointed individual who serves the public as an impartial witness to the signing of documents, among other duties. Oath: A spoken, solemn promise to a deity to tell the truth. 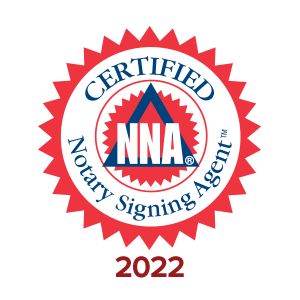 Signing Agent: A Notary who specializes in loan document assignments, performing courier duties for loan packages, as well as notarizing the borrower’s signature on loan documents. Sometimes referred to as a "Notary Signing Agent" or "NSA." 'SS': An abbreviation on a notarial certificate that indicates where the venue information should be entered. Short for 'scilicet' (Latin for 'in particular' or 'namely').